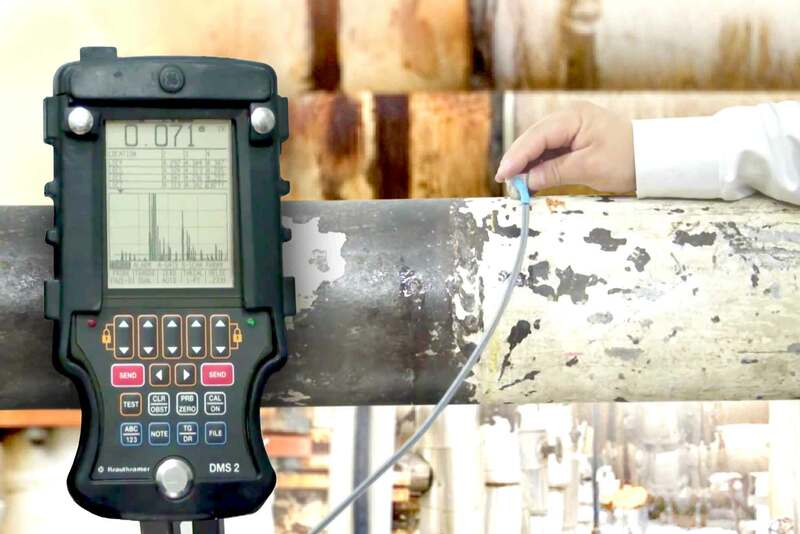 The Krautkramer Branson DMS 2 is used to monitor the thickness of pipelines and structures, particularly where corrosion is a concern such as in refineries or on oil drilling platforms. 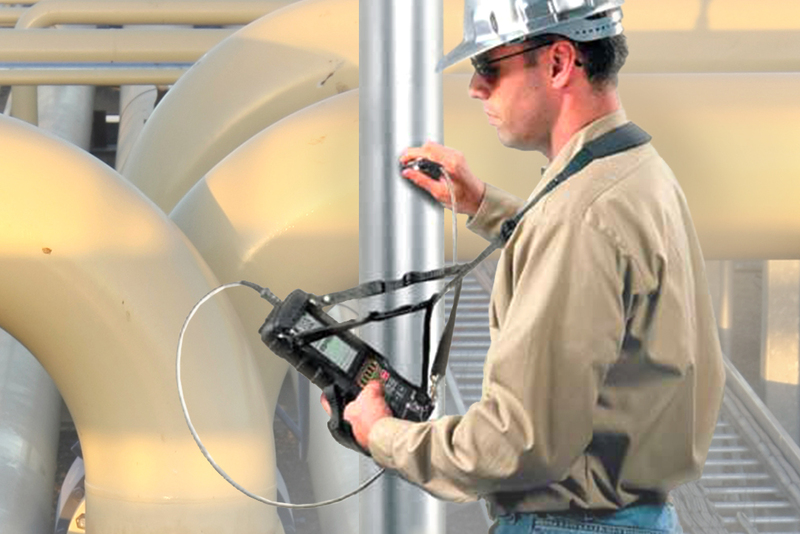 It is used both in a harness and hand in one hand while the other hand manipulates the probe. Through a series of weighted mockups and tests, Phase One Design developed a casework configuration which feels balanced and also facilitates multiple modes of operation.